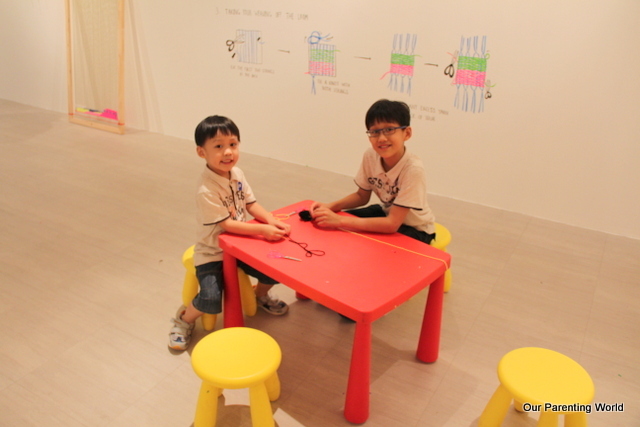 Imaginarium, the new edition of Singapore Art Museum (SAM) is a much-loved annual contemporary art exhibition for children that started in 2010 and now it is in its fifth year. In the spirit of SG50, this year’s exhibition is inspired by the crescent moon on the Singapore flag, a symbol of a young nation on the rise and with it, the capacity to dream big and think large. 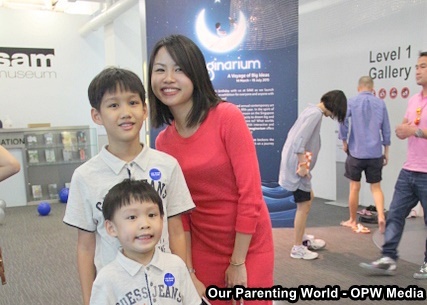 Our Parenting World is pleased to be able to interview Rachel Ng, the curator of SAM to share with us what goes behind in selecting the pieces for the exhibition. 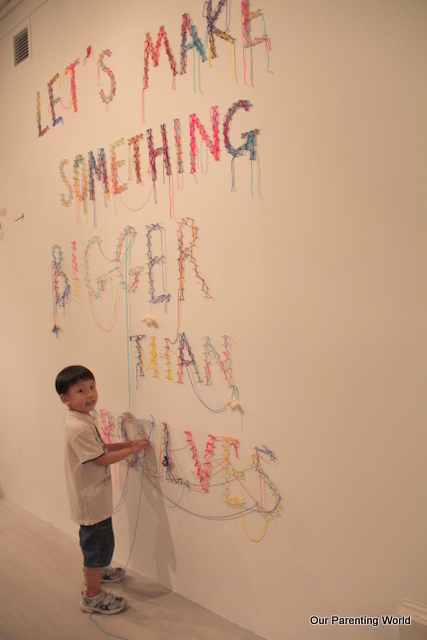 1) How do you select the artwork that will attract the children for The Singapore Art Museum Imaginarium exhibition? All of the artworks in Imaginarium are new commissions and have been created with careful attention paid to how children learn and play, and to appeal to different senses and modes of learning. We were conscious to include works that catered to children of different ages so that all children would feel involved; hence some are friendlier for younger children, while others required some advanced skill. Most of all, the artworks had to be visually attractive, sensory and immersive, so that children would be immediately drawn to engage with them. 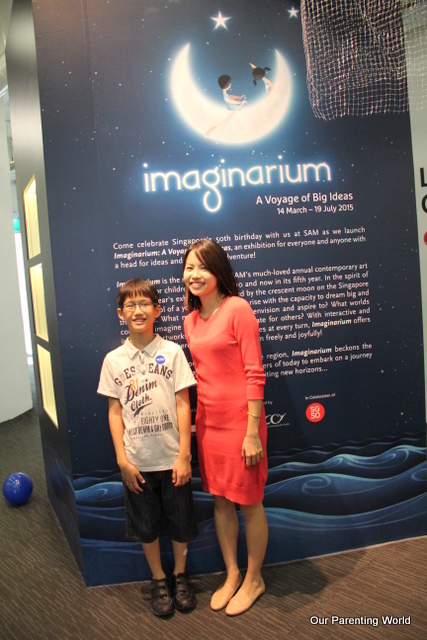 What we want them to ultimately take away from Imaginarium is an experience that art is exciting, fun, and meaningful. 2) What are the challenges you face in sourcing for the appropriate artwork for the exhibition? 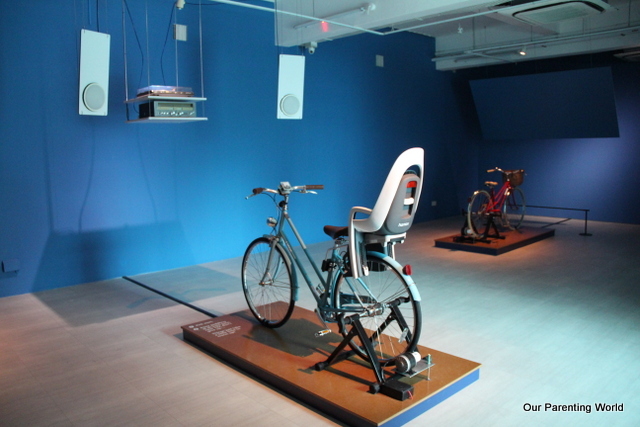 Since the exhibition is targeted at children, safety was of course a foremost consideration. We had to find a balance between helping the artists’ realize their ideas to the fullest and safety concerns. Certain materials such as glass could not be used, and we had to put ourselves in a parent and a child’s position to predict potential safety issues or risks when planning the execution of the artworks with the artists. Also, since the exhibition will run for four months, we needed to ensure that the works would be durable to withstand high levels of handling and interactivity. Most artists usually do not face such restrictions when it comes to creating new work, so it was interesting to see how they adapted and creative alternatives were found. 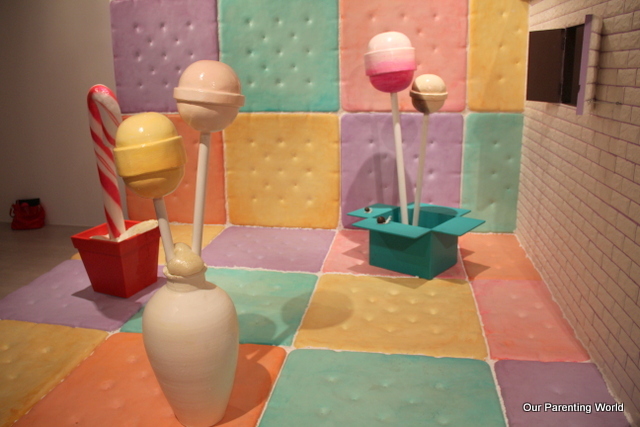 3) What are the highlights of Imaginarium exhibition, what can parents and children expect to see at the exhibit? Interstellar Overdrive by Vincent Twardzik Ching and Kiko’s Secrets by Kumkum Fernando. They are each stunning installations in their own right, and together express the diversity of expression and approaches to the theme of Imaginarium. Each of them also strongly evokes that sensation of discovery and wonder that a child experiences in exploring the world around them. Parents and children can expect to see a whole variety of different aesthetics and expect a range of different experiences. Some of the works are very energetic, while others more contemplative and requiring time and creativity from the visitors, such as Let’s Make! Studio. There is something for everyone’s tastes. 4) Will there be any upcoming exhibitions by The Singapore Art Museum that are suitable for children after Imaginarium exhibition? Imaginarium is the main exhibition for children at SAM in 2015; however, we encourage all parents and children to visit SAM’s upcoming exhibitions. Imaginarium is meant to be a stepping-stone into the wider world of art, and so we hope that through this experience, children will cultivate a budding interest in SAM’s exhibitions and contemporary art. 5) What’s your advice for parents who wanted to motivate their child to know and learn how to appreciate arts? 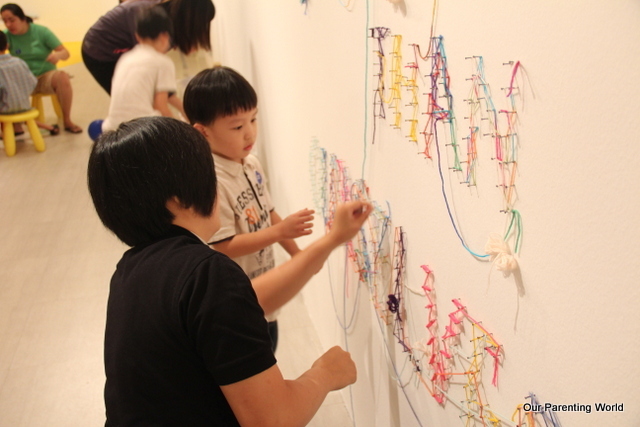 Children are naturally curious, and often respond to art in refreshing ways. Encourage this innate sense of wonder by bringing them to art events and exhibitions. Encourage your child’s curiosity by getting them to try their hand at art making, so that they realise that they too, are capable of creating art. 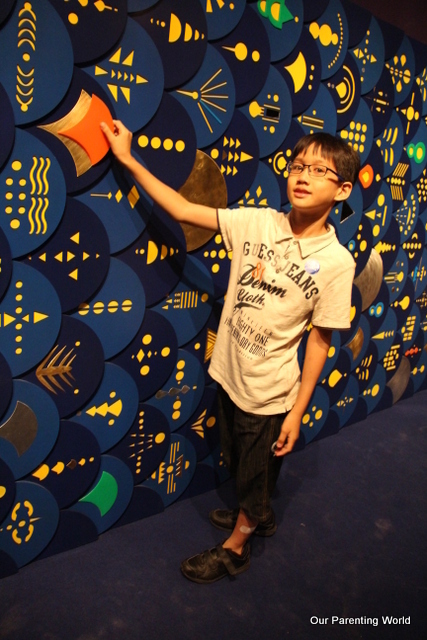 For Imaginarium, we have a host of special workshops and hands-on activities lined up, aligned with the themes and techniques of the artworks in the exhibition. These activities offer a range of creative experiences and expressions for our audiences, and if you find that your child is particularly inclined towards a certain mode of art making, continue to encourage his / her efforts. 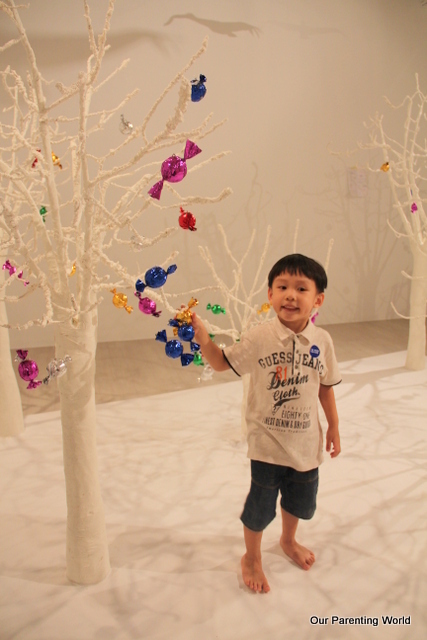 It’s important that a child’s first encounter and experience of art is a positive and inspiring one, and we at the Singapore Art Museum hope to do just that with our children- focused Imaginarium exhibition. Thank you Rachel Ng for taking our interview. 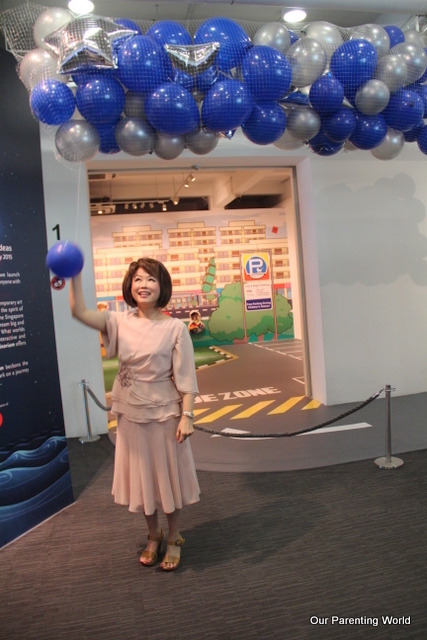 Singapore Art Museum (SAM)’s Imaginarium exhibition was officially opened by Guest of Honor, Dr Lily Neo, MP Tanjong Pagar GRC. 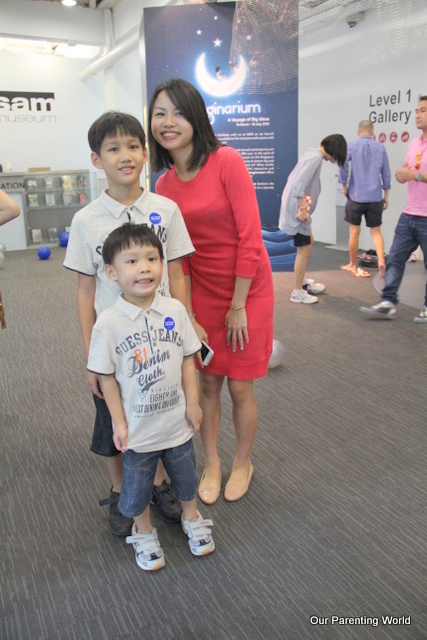 After the opening, guests were brought by curator Rachel Ng for a tour of the exhibition. 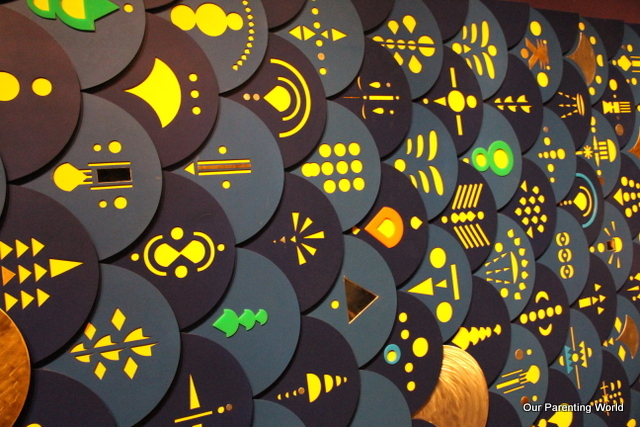 Beautiful and creative illustrations span across the walls and winding all the way up to the four levels of SAM at HQ. 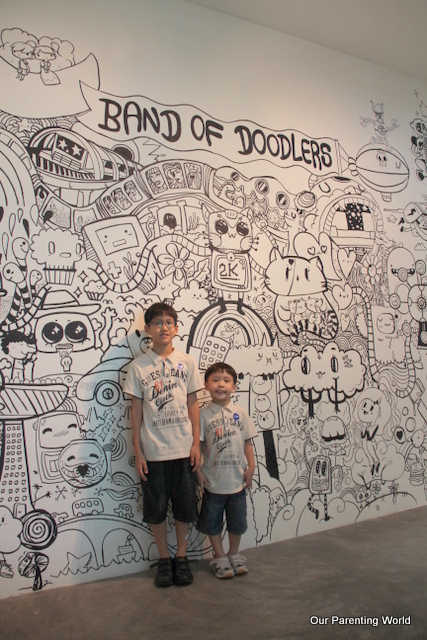 These illustration known as ‘Imagine-a-doodle’ is done by Singapore collective Band of Doodlers. The artwork brings to life a fantastical version of Singapore story, through adaptations of local folklore and of an imagine future. We were in awe of the illustrations and spend time admiring the artwork that span across the walls. Moving onto the second floor, children will discover a space for exploration and learning in a designated Imaginarium ‘Moonroom’. In this cosy room, there will be specially-tailored workshops, hands-on activities where children can embark on their own journeys to experience and engage with art. Through these activities, it aims to help children cultivate the interests and love of art-making. 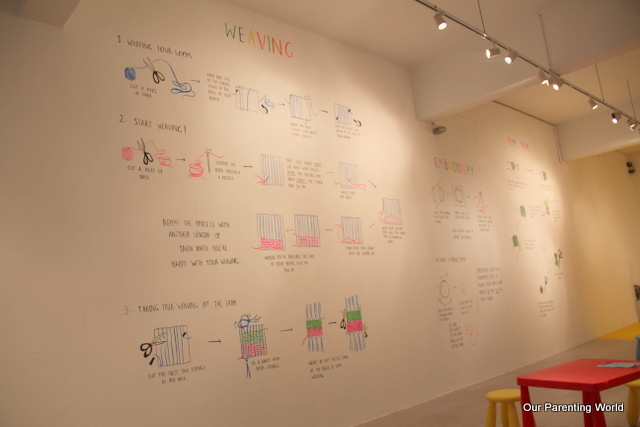 At the third floor, children will explore new worlds through embroidery by Singaporean artist Izziyana Suhaimi’s work ‘Let’s Make! Studio‘. 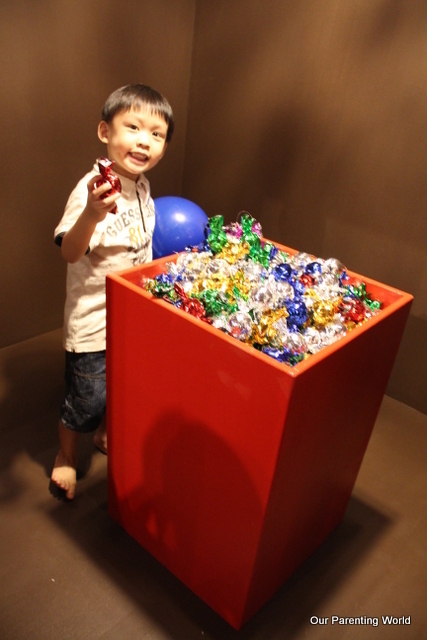 Children and parents are invited to get hands-on to create their own small objects at the designated workplace. 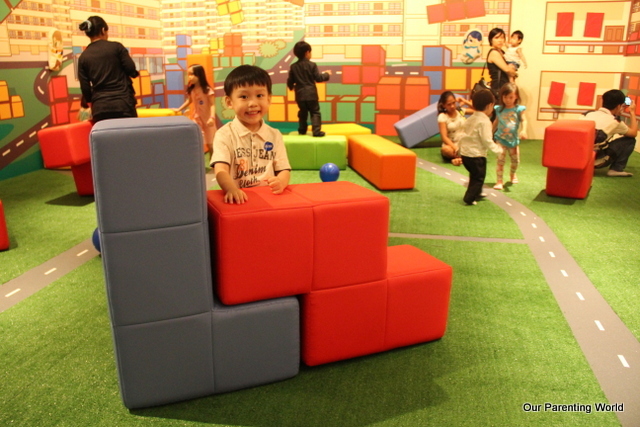 Children will have so much fun unleashing their creativity and imagination coming up with their very own creation. You can also add these objects that you make alongside the artist’s creation. SAM hopes that these artworks will become a collective tapestry of dreams about and of our shared future over time. 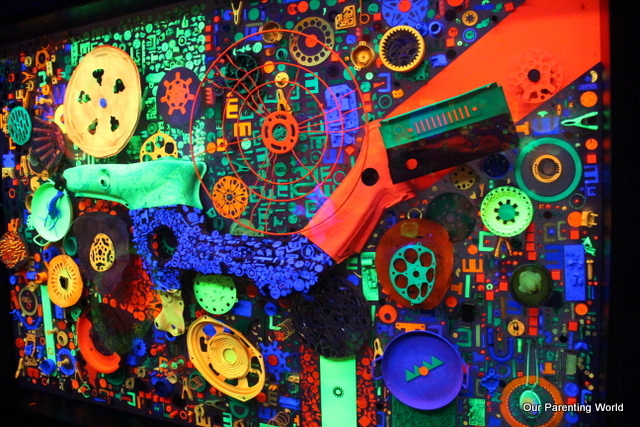 At the same floor, the exhibition showcases artwork from Vincent Twardzik’s ‘Green II: Interstellar Overdrive’. Vincent Twardzik is a Canadian-born, Singapore-based artist. 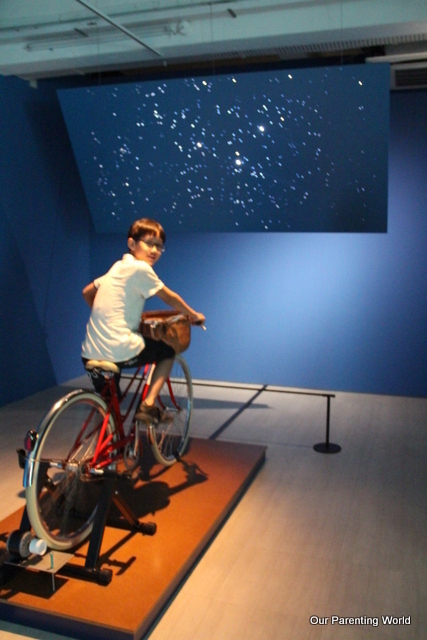 Visitors have the opportunity to cycle on stationery bicycles which are hooked up to various objects such as a drum, a constellation of stars and text on the walls. It is very interesting to watch the artwork comes to life. 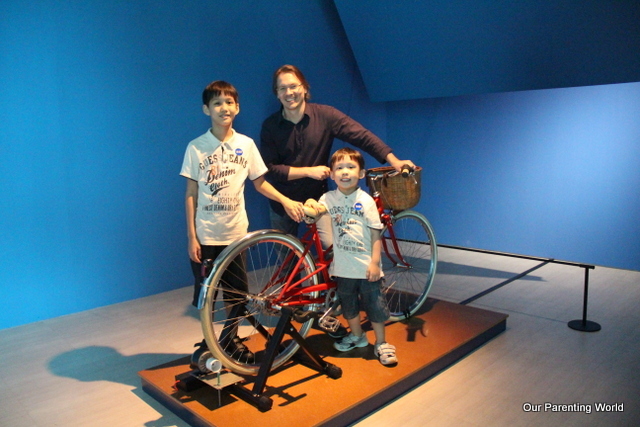 Children and parents can also work and bond together to power some of the stationery bicycles. SAM hopes that it will inspire the visitors to think of energy sources and how our future cities might be powered and the need for collaboration for a sustainable future. Our team has an opportunity to meet Vincent Twardzik and we are so amazed with his artwork! At the fourth floor showcases the penultimate stop of Imaginarium which is ‘Dream House’ by South Korean artist Jeeyoung Lee. 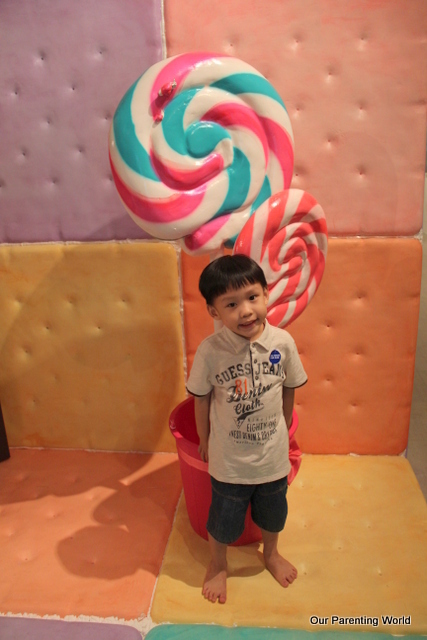 Children and even adults felt that they have stepped into a dream place filled with sweets and treats. Yes, indeed, we felt that we have stepped into a dreamy place full of candies at a fairytale-like gingerbread house, where visitors can pick a sweet and proceed to plant the sweets in a larger than life garden. It is a grand sight to see plenty of candies on the trees. They look so beautiful! 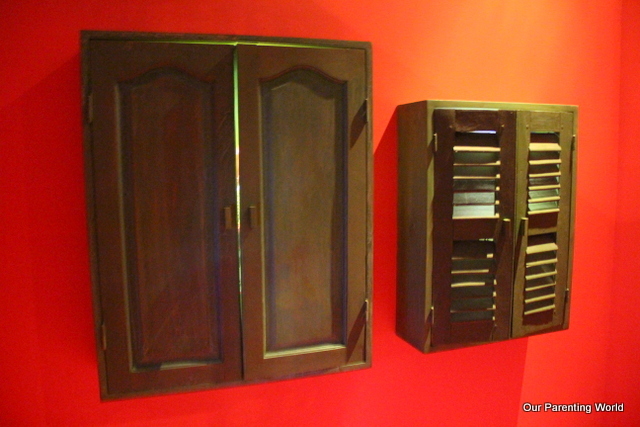 At the same floor on the fourth floor showcases Kiko’s Secret by Sri Lankan-born, Vietnam based artist Kumkum Fernando. It consists of three giant ‘magic’ boxes, visitors can visit each box which will bring them on a journey of discovery of magical secret worlds. The boxes are built around three themes which are the woods, the city and the sky. 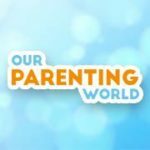 Children and parents can explore and experience the wonders of the world around them. A peek into the box which reveals the secret of the Sky. More secrets to be uncovered when visitors visit each box to discover a world that is familiar and yet unexpected. Visitors can touch, feel, seek and re-discover each world for themselves. Visitors can have fun attempting to find the correct scales and put on the giant Saari fish at Kiko’s Secrets. Back on the first floor, showcases ‘We Built this Estate! exhibition where visitors have the chance to become architects and builders in their own make-believe cities. The exhibition is done by Singapore artist Chiang Yu Xiang. 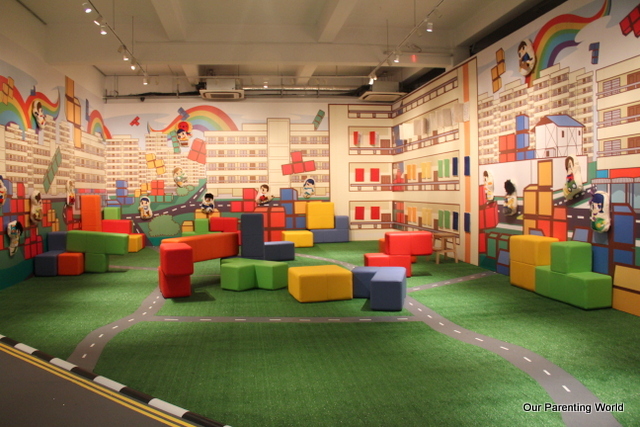 At this exhibition, visitors have the opportunity to create and build their own housing estates and city skyline with Tetris-shaped housing blocks. Through this artwork, it hopes to feature clearly-demarcated ‘estate’ areas, roads and other landmarks that they can contribute to as a backdrop of their own cities. 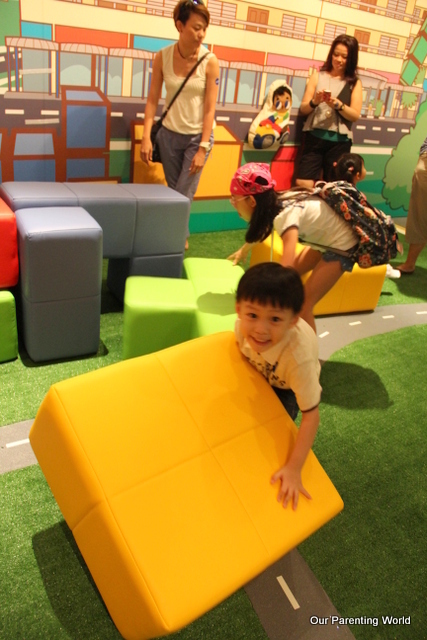 Many children and parents are seen working together to create their own cities in this fun exploration exhibition. 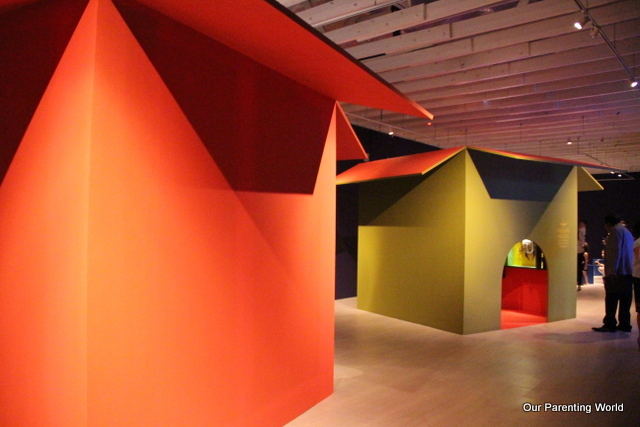 Visit Singapore Art Museum and journey into Imaginarium: A Voyage of Big Ideas and look forward to embark on a fun and educating experiences exploring all the artworks. 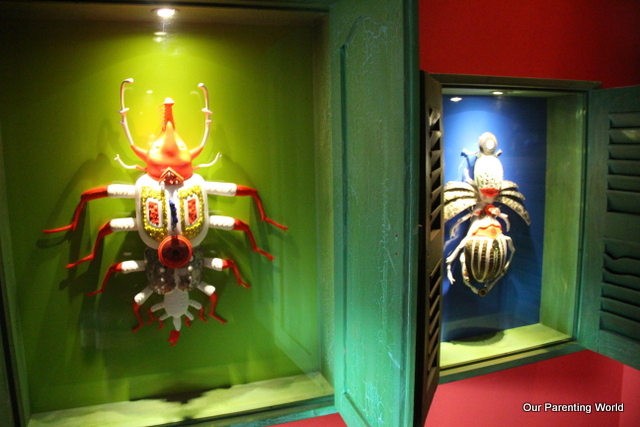 In addition, visitors can look forward to create their own secret boxes taking inspiration from Fernando’s Kiko’s Secrets, learning the fine craft of embroidery, creating their own terrariums and film screening for children. There will be a number of public programs available such as a roundtable discussion – The Art and Science of Imagination where parents who are professionals and experts in their fields gather together to discuss how imagination is an important part of their working lives and how it inspires them to inspire others. SAM has also specially partner with local organisation CRIB – a Singapore based social enterprise which aims to empower women entrepreneurs especially mothers with a work-life balance and a fulfilling career while making family a priority. A selection of their products will be on display at Supermama for the duration of Imaginarium. Our Parenting World is pleased to announce that there is an upcoming annual contemporary art exhibition for children; Imaginarium: A Voyage of Big Ideas. 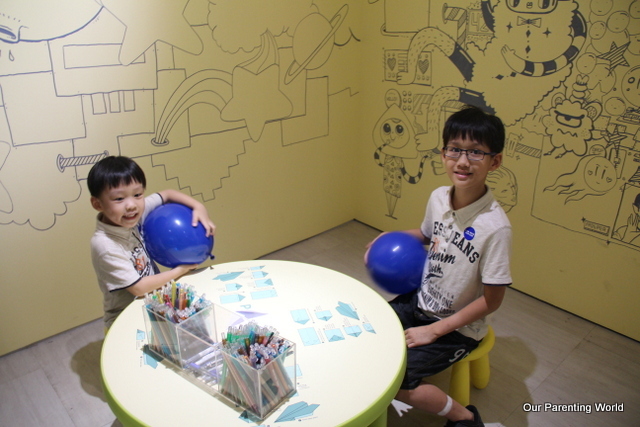 Introducing Imaginarium, it is an new edition of Singapore Art Museum (SAM)’s which is a much-loved annual contemporary art exhibition for children, begun in 2010 and now in its fifth year. In the spirit of SG50, this year’s exhibition is inspired by the crescent moon on the Singapore flag, a symbol of a young nation on the rise and with it, the capacity to dream big and think large. What might we be able to envision and aspire to? What worlds could we imagine for ourselves and create for others? With interactive and immersive artworks and hands-on activities at every turn, Imaginarium offers creative space where inspiration can bloom freely, and joyfully for the young and young at heart. 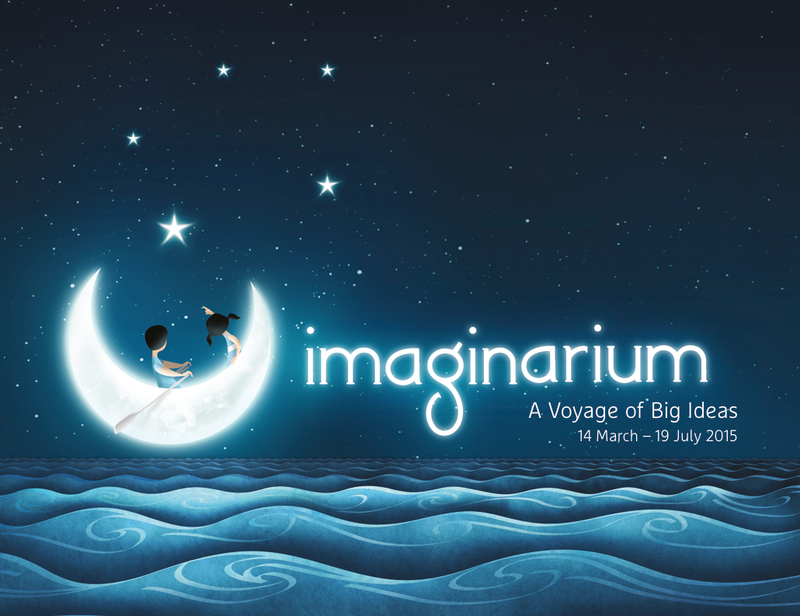 Featuring artists from Singapore and the region, Imaginarium beckons the adventurers, the dreamers, and the explorers of today to embark on a journey of discovery, and together, sail towards…exciting new horizons. This is an exhibition for everyone and anyone with a head for ideas and a heart for adventure! 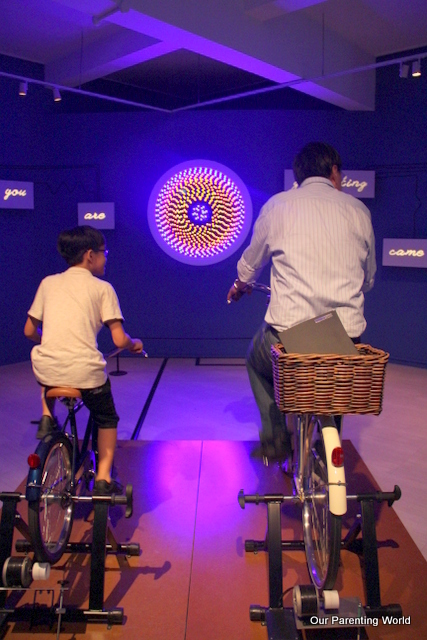 Have you visited Singapore Art Museum (SAM) exhibition Imaginarium: A Voyage of Big Ideas? Imaginarium: A Voyage of Big Ideas, it is the new edition of SAM’s much-loved annual contemporary art exhibition for children, begun in 2010 and now in its fifth year. In the spirit of SG50, this year’s exhibition is inspired by the crescent moon on the Singapore flag, a symbol of a young nation on the rise with the capacity to dream big and think large. As Singapore looks back on how far we have come in the last fifty years, Imaginarium propels our gaze ahead, where we can set sail on our imaginations to explore other realms full of new possibilities. As part of the exhibition’s activities there will be a series of Imaginarium film screenings in the early part from 8 to 10 May 2015 at the Moving Image Gallery at SAM at 8Q. Featuring four classic films, the screenings will be a great weekend activity for the family to enjoy alongside the exhibition itself which is held at the same venue. In addition, patrons will enjoy 50% off the limited edition Passport to the Moon when they purchase tickets to Imaginarium feature films! Directed by former Monty Python member, Terry Gilliam, this fantastical morality tale of Dr. Parnassus (played by Christopher Plummer) and his ‘Imaginarium’ dramatises the age-old choice between good and evil. An inveterate gambler, Doctor Parnassus grapples with the consequences of bets he made with the devil. Heath Ledger played the role of the mysterious young suitor to Dr. Parnassus’s daughter (played by Lily Cole) before his untimely death midway through filming. In tribute to him, Johnny Depp, Colin Farrell and Jude Law subsequently stepped into the role to complete the filming. Andrew Garfield co-stars in this film, which was nominated for two Academy Awards and two BAFTA Awards. Rated PG with sexual references, violence and strong language. 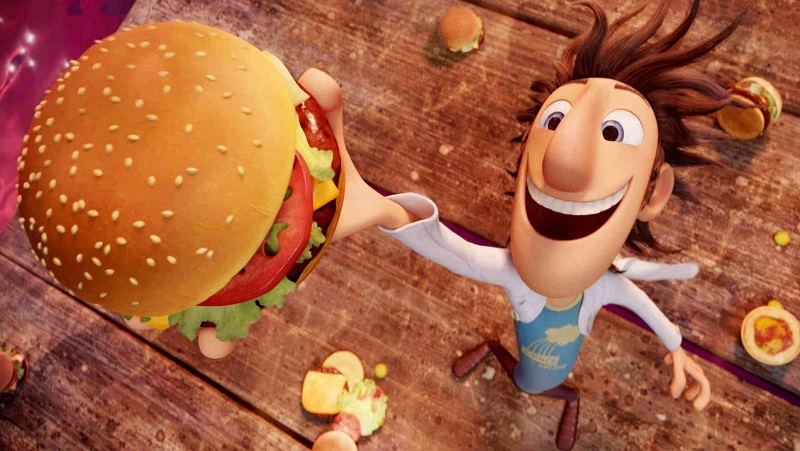 Inspired by Ron and Judi Barrett’s beloved children’s book of the same name, the film follows scientist Flint Lockwood who dreams of and succeeds in inventing something that will improve the lives of townspeople in Swallow Falls. Embark on an adventure with Sam Sparks, a brainy weather girl; and Flint’s talking monkey assistant, as they attempt to shut down the machine when it runs amok and threatens to bury the whole world with spaghetti tornadoes and giant meatballs! The film was nominated for several awards including best animated feature film in the Golden Globes and won the BMI Film Music Award. Frustrated with babysitting on yet another weekend, Sarah (played by Jennifer Connelly) summons the Goblins to take her baby stepbrother away. When little Toby is kidnapped by the Goblin King (played by David Bowie), Sarah must brave a twisted maze of deception and outrageous creatures to rescue the infant. Directed by the legendary creator of The Muppets, Jim Henson; the musical adventure explores themes of choice and responsibility, with references to fairy tales and mythology. Henson worked closely with acclaimed artist Brian Froud and executive producer George Lucas to create a mesmerising fantasy classic, which is now recognised as groundbreaking and wildly ahead of its time. Rated PG with creature action violence and strong language. Directed by award-winning director, Wes Anderson (The Grand Budapest Hotel), and featuring a star-studded cast including Tilda Swinton, Bruce Willis and Edward Norton; this coming-of-age tale is set on an island off the coast of New England in the summer of 1965. Two youths fall in love and run away together to a world they create for themselves. As various authorities try to hunt them down, a violent storm is brewing offshore. The film was nominated for several awards including the Oscars and the Golden Globes. The soundtrack features music by Benjamin Britten. Rated PG13 for sexual references. $10* per screening. $7.50 per screening with purchase of 2 Imaginarium feature film tickets and more. Tickets available at SAM and SISTIC.